It is our hope that through your continuing prayerful listening you have come to know the joy and peace that accompanies God’s call to religious life. If within your pre-candidacy you and the community leadership are confident that you should move forward and enter the congregation, you will enter a deeper discernment and a preparation for your life as a Sister of Bon Secours in our formation program where you will come to know firsthand what living the life of a sister is really like. With each phase of Formation you gradually build toward your future with our order. Join SISTER ELAINE DAVIA, Formation Director of the Sisters of Bon Secours as she talks about the formation experience to become a sister in our community. Below is a brief outline of the stages of formation within the Sisters of Bon Secours that explain the journey to becoming a vowed sister. Although each religious community develops their own model this outline gives you a basic understanding of the steps to becoming a vowed consecrated religious. To take the first step to inquire about religious life contact our vocation director by phone: 410-442-3171 or by email: CBSVocations@nullbshsi.org. Our vocation director is ready to guide you, offer resources, and answer your questions. During this time of inquiry, we invite you to “come and see” what our life is like. There will be opportunities to meet other sisters, to share in prayer and meals together, and converse with other women who are discerning religious life. This inquiry phase lasts until you are ready to make a request to begin a discernment process to understand your call. If you feel called to be a sister and it is mutually affirmed, you are ready to make a formal request for entrance into the community. As a candidate, you bring the rich experiences of your life and live with a community of Sisters in a neighborhood setting. You will continue to discern God’s call by sharing in prayer, household responsibilities, meals, leisure activities, and community celebrations. You will also begin working in a ministry sponsored by our community. During this time of spiritual growth and personal development, you will deepen your relationship with God and discover whether you have an aptitude for religious life. 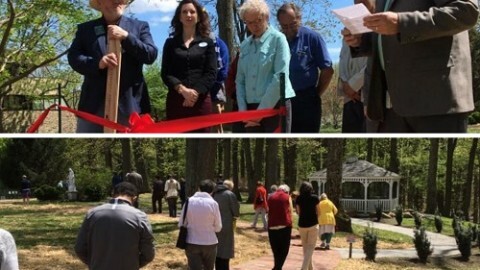 The Novitiate is a privileged time of prayer and study to assimilate the spirit of the Gospel, the vows, and the history and charism of Bon Secours and numerous other topics. It’s a time of deepening your relationship with Christ, as you reflect on the grace and responsibility of your personal consecration to Him. The first year of study and spiritual preparation is spent with other novices at the Novitiate House in Marriottsville, Maryland. 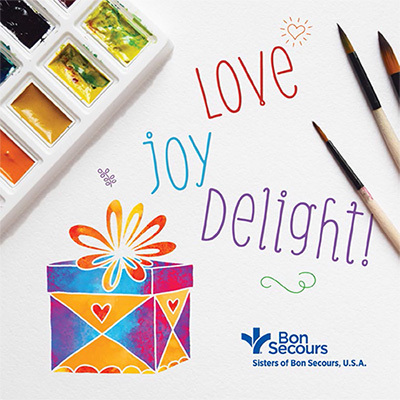 This year includes classes and instruction to give you a deeper understanding of your life as a Sister of Bon Secours. There is a strong emphasis on the prayerful study of scripture, so that the Word of God becomes a deeper motivating force in your daily life and work. The second year allows you to integrate everything you have learned into your life and ministry. Temporary Profession of Vows is an exciting time when you will fully live your life and mission as a Sister of Bon Secours – balancing life in community, actively working in ministry, and integrating your deeper spiritual awareness of God’s call into your daily life. Temporary profession of vows are always made or renewed for a clearly determined period of time, usually until final vows. It is a balanced period of community life, ministry, prayer, and study as needed; a time for you to penetrate more deeply the demands of the Gospel and your vocation in order to integrate them into your life in a concrete and responsible manner. At the end of this phase of formation, you’ll spend two to three months in intensive spiritual preparation to prayerfully prepare for making your final vows. This last phase of formation begins and ends with a joyous celebration as you freely give yourself to God through a public and permanent commitment. As a vowed member, you will continue your growth and development of the ministerial, personal and communal life of a Sister. You will be encouraged to continue to pursue theological and spiritual studies. You’ll continue to discern how God is calling you to use your professional gifts and talents in ministry. To talk to a sister about the formation experience at 410-442-3171 or email us at CBSVocations@nullbshsi.org.